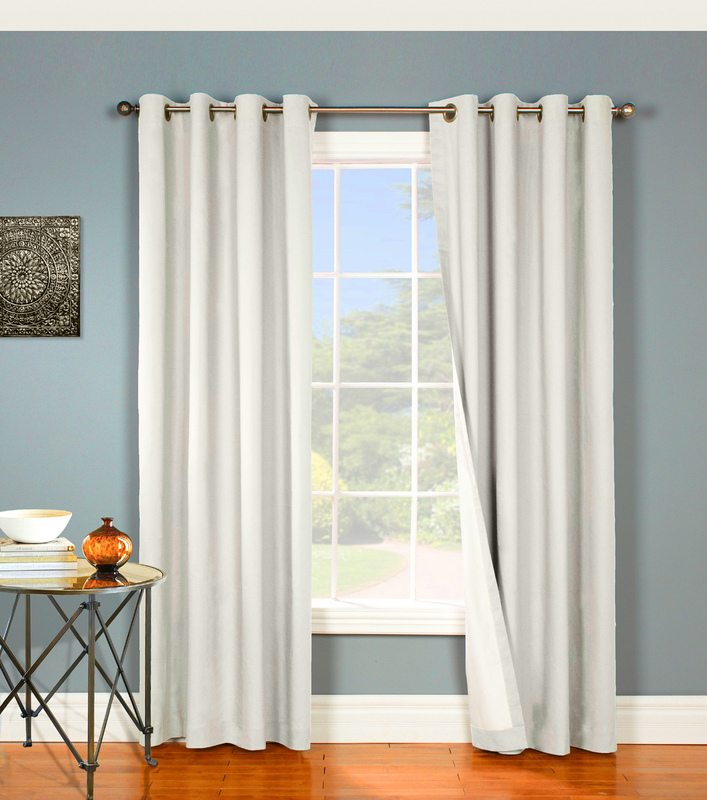 Bring a welcoming casual warmth of any window in you home! 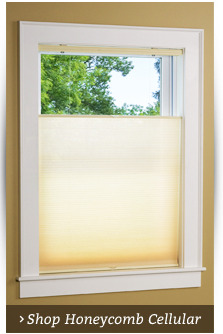 For an attractive textured canvas-like face fabric, Tacoma provides the ultimate in energy efficiency, noise reduction, and air barrier with the enhanced black out capacity. Both fabric faces, as well as the 180 GSM white lining are woven with black out yarns. 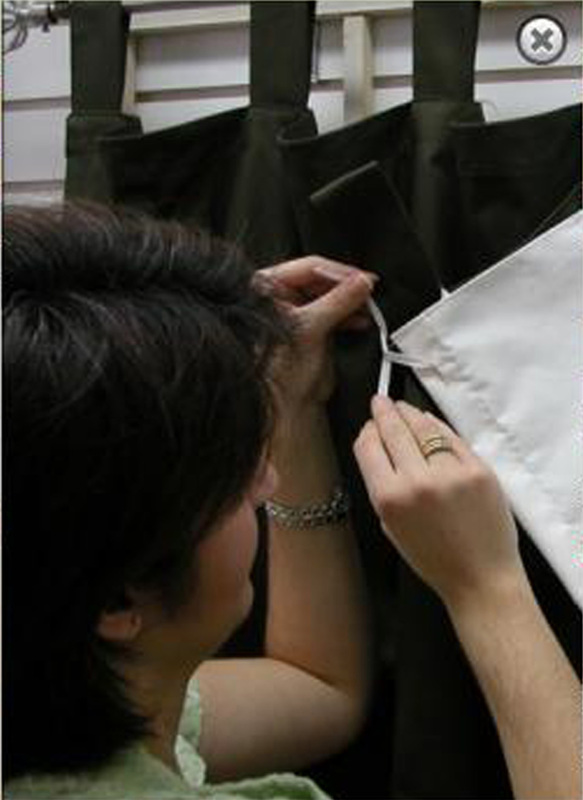 Additional features a generous detachable wand, 4 inch bottom hem and weighted corners! 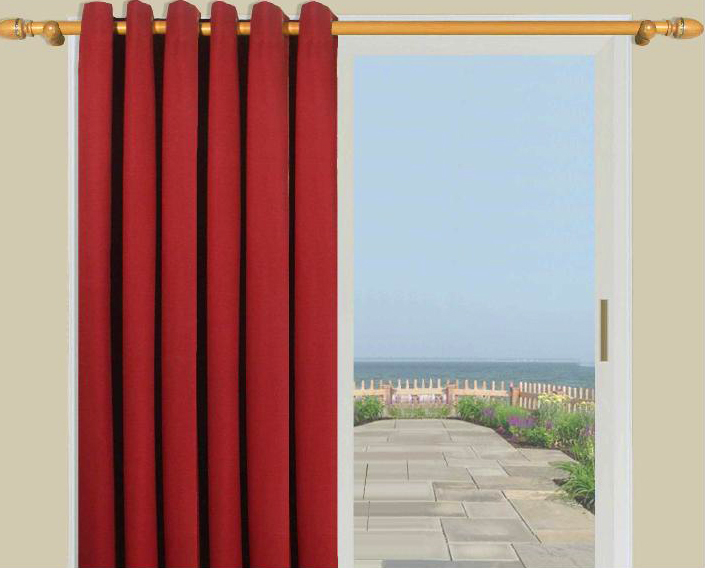 The Patio Panel measures 106 inches wide by 84 inches long. 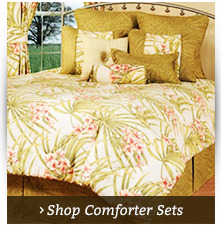 Matching 50 inch wide panels are also available. Made of 100% Polyester and washable, easy care Navar has total black out properties and is also insulated, so your warm air stays indoors during the winter months, and cool air stays in during summer. The high quality woven faux suede is rich and luxurious as well as highly functional. 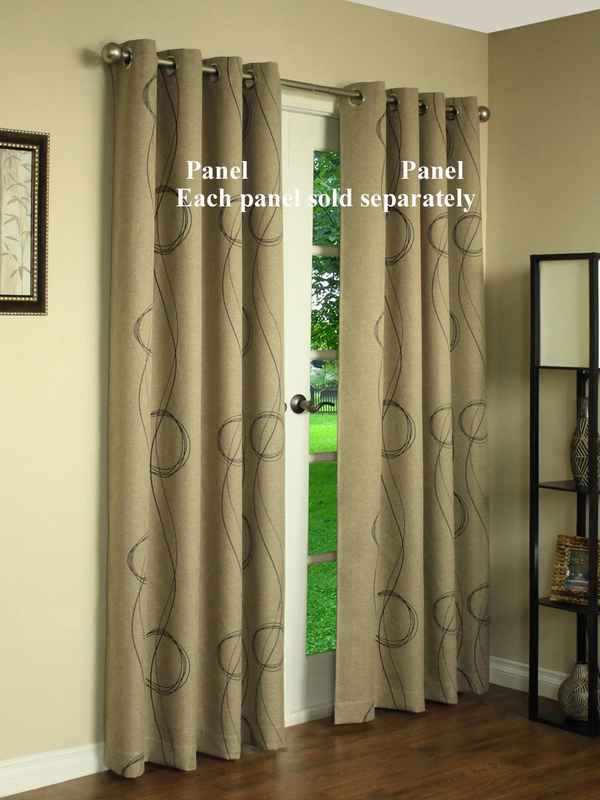 Each grommet top curtain panel, sold separately, measures 50 inches wide in lengths of 84 and 95 inches. Features include 8 metal grommets with 1 1/2 inch inside diameter. Choose colors in Black with Black Grommets, Burgundy with Black Grommets, Brown with Rubbed Bronze Grommets, and Taupe with Rubbed Bronze Grommets. 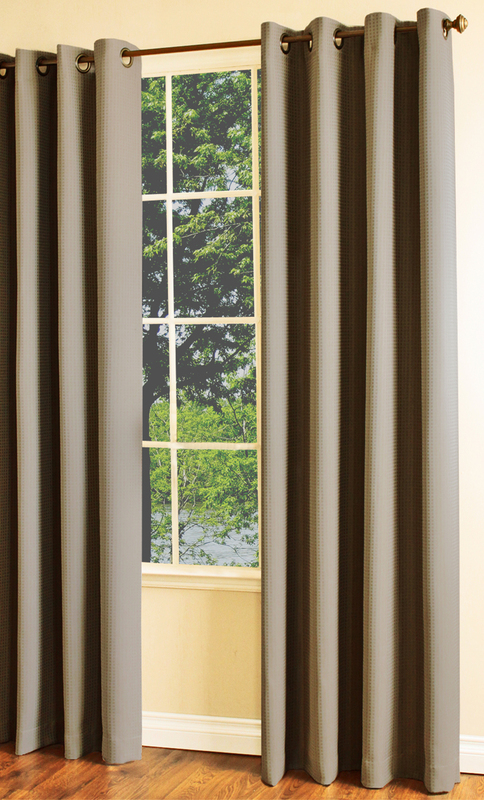 Black out curtains can successfully block unwanted sunlight from entering your windows so you can get the wonderful night's sleep you crave. Did you know that excessive sunlight can do more than keep you awake? Prolonged exposure to sunlight can actually damage furniture, carpets and walls, fading colors and prematurely aging your home. 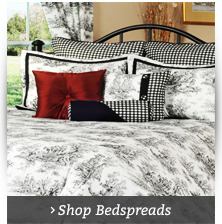 However, TheCurtainShop.com has stylish black out curtains that will block sunlight so you can sleep better and protect your belongings. Many people don't work the traditional 9 to 5 shift. Some people arrive home from work just as the sun is rising, attempting to go to sleep as daylight streams in through the window. 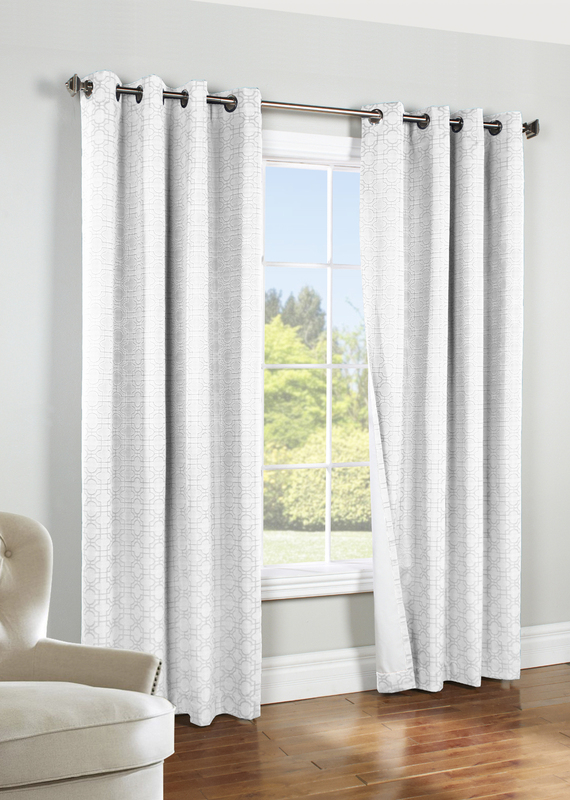 Sleeping with the sun streaming into the house isn't easy, but blackout curtains can help. 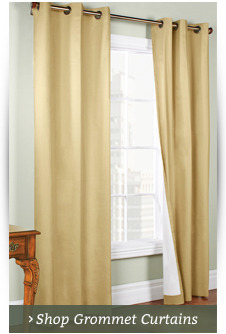 The curtains successfully filter and block light to help you fall asleep and stay asleep. 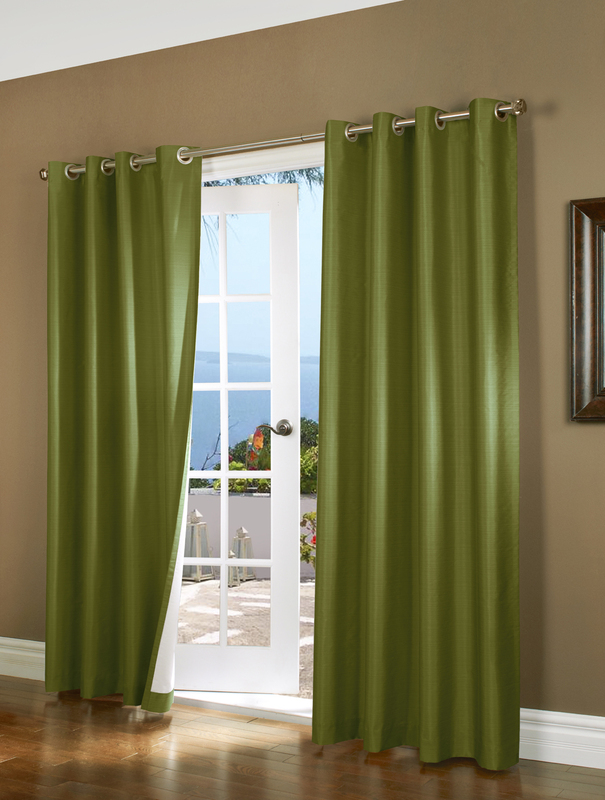 As an added bonus, they also act as a sound barrier to block noises from outside so you can rest. That means the neighborhood kids won't keep you awake anymore, and neither will disruptive dogs. 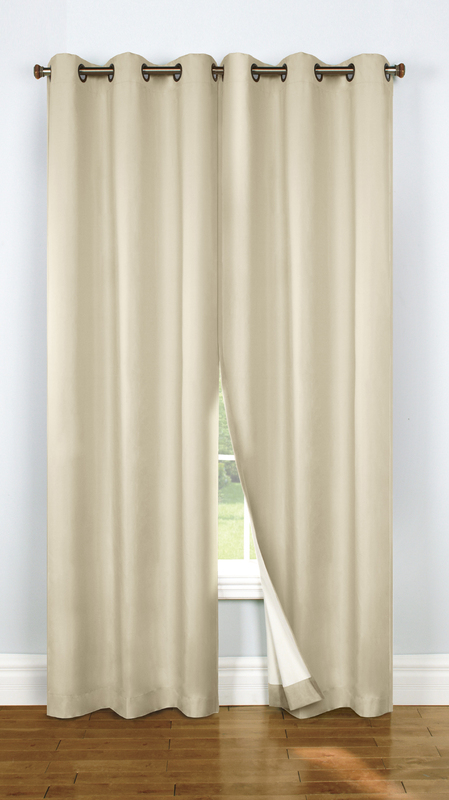 If you love your current curtains and don't want to part with them, TheCurtainShop.com sells a black out liner that works with any style of curtain from the pinch pleated drape to the rod pocket curtain. 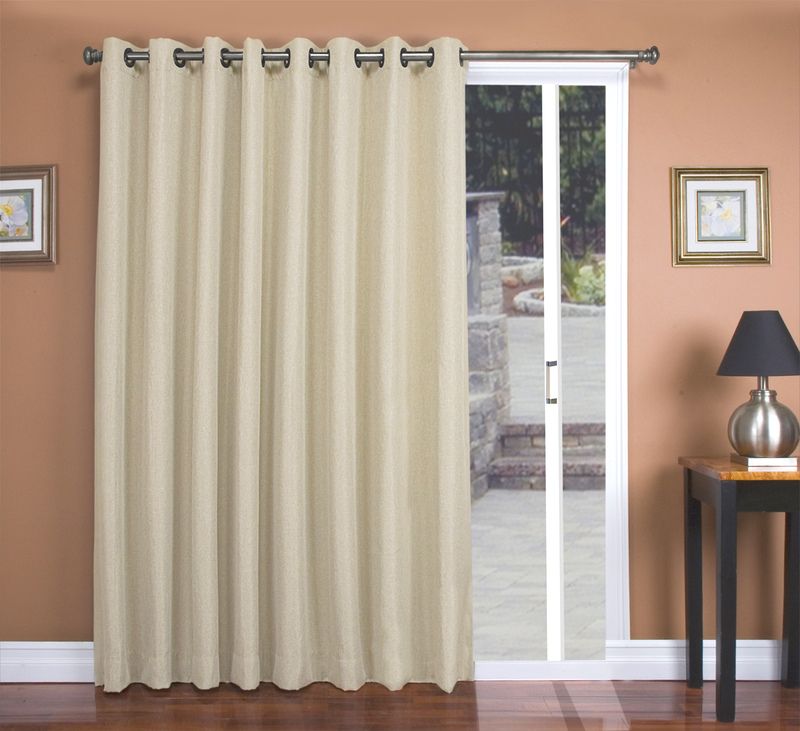 The blackout liner hangs behind your curtain and has a white backing, which meets the requirements of many condo associations while still blocking light. 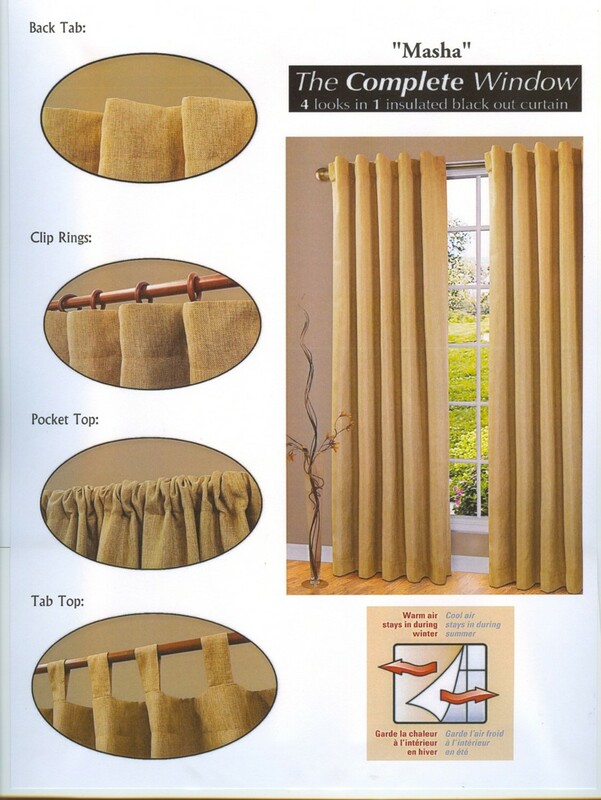 Shop TheCurtainShop.com for black out curtains as well as all the decorating essentials that you want to make your house a warm, inviting home.